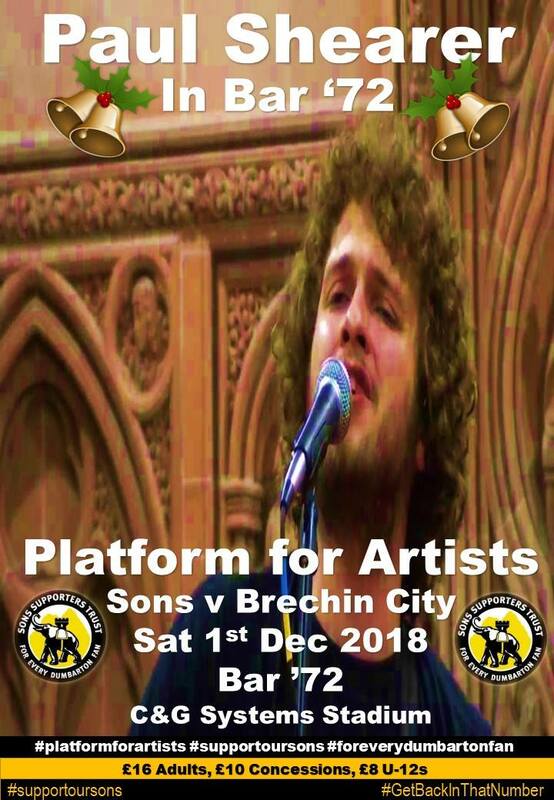 A huge Sonstrust thank you to Paul Shearer who performed in Bar ’72 yesterday ahead of DFC’s fine 4-1 victory against Brechin City. Paul played at the venue at the tail end of last season when Sons faced Alloa Ath in the Championship play-off final. The result that day certainly wasn’t as enjoyable as the win against Brechin, but on both occasions the music in the community suite was top notch. Thanks Paul – haste ye back.